PQube Games, in conjunction with Arc System Works, have today announced that the 3D fighting game based upon the KILL LA KILL franchise, known as KILL LA KILL – IF, will be released on the 26th July 2019 within Europe for the PlayStation 4, Nintendo Switch, and Windows PC via Steam. For those unaware KILL La KILL – IF, which seems to be a 3D arena-styled fighting game in a similar design to CyberConnect2’s Naruto Ultimate Ninja Storm games, is currently being developed under the watchful eye of STUDIO TRIGGER, the team behind the original anime series, with both Hiroyuki Imaishi, and the scenario writer, Kazuki Nakashima, being involved with the production of the game; especially the cinematic sections which retell key events from the anime series. In addition to retelling key elements from the anime series KILL La KILL – IF will feature it’s own unique scenario known as ‘IF; with more details about this unique story to be confirmed at a later date. 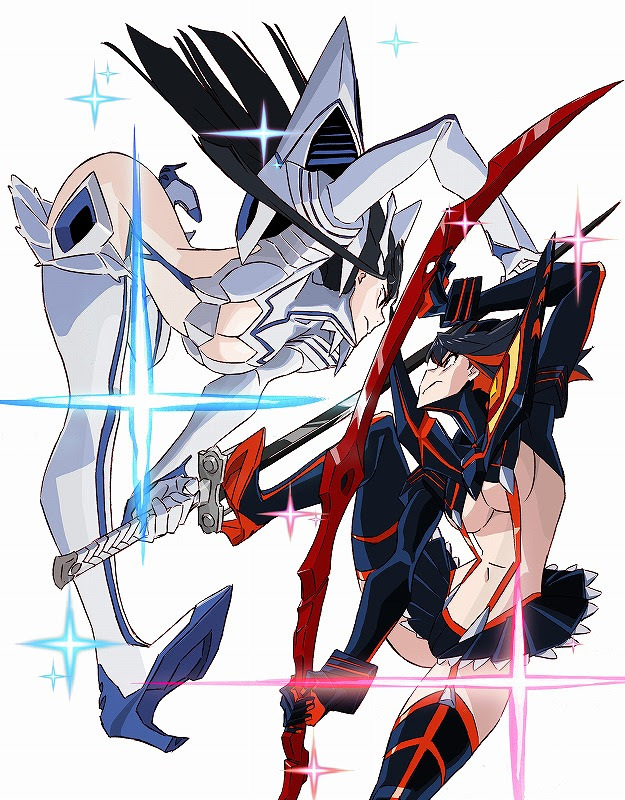 Both PQube Games and Arc System Works are proud to introduce the new and original artwork for the game, drawn by Mr. Sushio, who was in charge of the character design in the original TV anime ‘Kill la Kill’. Two new playable characters “Mako Mankanshoku” and “Ultimate Double Naked DTR” will be available to download as free characters with release details to be confirmed closer to release. Taking inspiration from the Japanese Limited Edition release of KILL LA KILL – IF PQube Games have confirmed that a selection of retailers within Europe will stock this Euroepan Limited Edition; with 1,500 units being produced for Europe. ・Mr. Sushio’s main artwork for Limited Edition. A special pre-order bonus known as the ‘Fight Club-spec Two-Star Goku Uniform President Mako Mankanshoku’ Keychain! will be available from selective retailers in Europe. Additional details will be confirmed at a later date by PQube Games. Arc System Works have confirmed that at least 10 playable characters will be included in the base games; with the game itself featuring a Story mode, which will also feature cut-scenes from the anime, and competitive modes both online and offline. In addition to these details a Japanese trailer detailing the aspects of the game can be found below; but PQube Games have promised an English Dub version of the trailer will be released shortly. In the meantime KILL LA KILL – IF is scheduled for release on the 26th July 2019 for the PlayStation 4, Nintendo Switch and Windows PC via Steam.